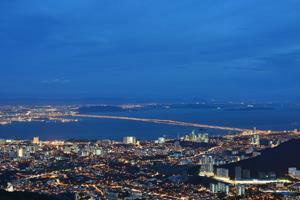 Penang is a state in Malaysia that is located on the Northern coast, by the Strait of Malacca. It is a place that welcomes modernity while still preserving its culture’s traditions. Penang sports a multi-racial community and is famously known as the food capital of Malaysia, so you can expect some unique and great-tasting food during your visit here. One of the most preferred method of getting into this charmingly authentic city is by taking a bus to Penang. However, there are two main bus terminals in Penang, which are the Sungai Nibong Bus Terminal (located near Bayan Lepas) and the Butterworth Ferry Jetty Bus Terminal. Most express bus to Penang will make drop offs at the newly developed Sungai Nibong Bus Terminal, but Butterworth is also a popular stop, depending on where the passengers need to go. But apart from that, there are still a number of express bus operators that passes by and makes short pick-ups and drop offs at the Komtar Bus Terminal near Prangin Mall before continuing the journey to their destination. As for the Butterworth Ferry Jetty Bus Terminal, it also offers ferry service across to the island, for those who would like to experience getting on a ferry. Some of the popular bus services to Penang include bus from Singapore to Penang, Kuala Lumpur to Penang, Ipoh to Penang and many more. The streets of Georgetown, Penang Hill, St. George’s Church, Snake Temple, National Park (Muka Head), Lorong Kulit, Rope Walk, Campbell Street, Batu Ferringhi Beach, Upper Penang Road, Chulia Street. 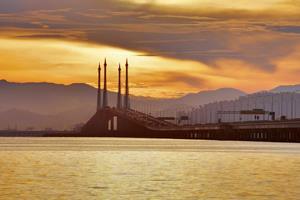 Book your tickets for the bus to Penang today!